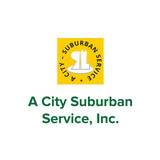 A City Suburban provides residential and commercial Roll-off Dumpster Rental, Waste dumpster rental and Trash container rental for all of your trash removal needs. Our dumpster rental company serving clients in Chicago and surrounding suburbs. Downsizing made easy for homeowners Homeowners decide where their stuff goes, and we make it happen in seven days. A sharable portfolio of belongings allows homeowners to donate, recycle & resell items they no longer want with the push of a button. 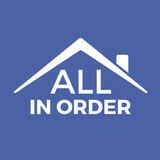 Our all-inclusive service solutions immediately relieve the feeling of 'stuff overload', resulting in increased home value and reduced moving fees. Website: <a rel="nofollow" target="_blank" href="https://twitter.com/mwferro">https://twitter.com/mwferro</a> Address: 350 North Orleans Street, Suite 9000N, Chicago, IL 60654 Ph NO: 312-994-9494 Michael Ferro is an inventor, investor, and philanthropist. Mr. Ferro is the Founder and CEO of Merrick Ventures LLC, a Chicago-based venture capital and private equity firm focused on big data, deep learning, and distribution technologies. Recently he oversaw the turnaround of Tronc, a traditional and digital media company. From 2008 to 2015, he served as the chairman of Merge Healthcare, turning the organization into a billion-dollar enterprise, which was acquired by IBM in October. Currently, he is also the Chairman of Wrapports LLC, which owns media properties like the Sun-Times Network, the Chicago Sun-Times, the Chicago Reader, Chicago.com, Aggrego, Thecube.com, and Higi LLC. An inventor of a number of proprietary products and processes, he holds multiple patents issued by the U.S. Patent and Trademark Office. Most recently, Michael was issued a patent for his innovations in medical imaging for Merge healthcare, and several of his developments are currently patent pending. We offer same day dumpsters rental. If you are genuinely concerned about the affordability of our dumpsters, we offer cheap dumpster rental services that are close to you. The location of our services is in and around Burr Bridge, IL as we offer proximity to households and businesses in the area.You can always reach us online or contact us via this telephone number. If you want fast efficient and dedicated Dumpsters Rental in Burr Ridge, then contact us today! Great Junk Removal was founded by our family on the firmly held belief that there was a market in Northern Chicago for responsible, eco-friendly junk removal services. We began just as any small business, with a dream and a mission – to deliver the finest professional service at the lowest possible cost with minimal impact to the environment – and today, many years from where we started, the dream is alive and well. One of the most important things to check before hiring a junk removal company is if they have the proper insurance in place before they set foot on your property. The licensing and insurance regulations governing this industry are there to protect you, the customer, from any damages or injuries suffered on your property. Because of the low barrier to entry for this business – basically anyone with a truck thinks they can do the job – there are a great many fly-by-night operations who promise to do all sorts of things they are unqualified or uninsured to do. That’s why working with a fully licensed and insured company, like Great Junk Removal, is so important. We do the work efficiently and professionally, and all the while you’re completely protected by our insurance policies – both Worker’s Compensation and an Umbrella Policy covering your property. Don't be a junkie! Let us do all the work for you. Get Junkin will remove your junk and debris from anywhere on your property.....garage, basement, attic...anywhere! Appliances, furniture, electronics, junk... We remove it all! We charge by space used on our trucks, all labor and disposal fees are included in our pricing. 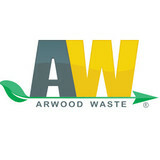 We are environmentally friendly, we proudly recycle and do not use landfills. Whether you are a homeowner or own commercial property, we offer the best rates on debris removal, interior, and exterior demolition services. We specialize in interior and exterior demolitions. We can get your kitchen, bathroom, basement, or any room ready for remodeling. We can help you with all of your shed, garage, or out building demolition projects. We take away all of the debris from the demolition so you don't have to worry about anything! Get Junkin will get you ready for any construction or remodeling project. Premium Disposal Inc is operated by Paul Sterenberg. Paul's goal has always been to extend exceptional roll-off services in the industry. 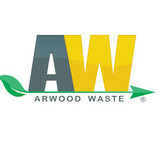 Paul has more than 30 years of experience in waste disposal. With the help of his wife and three sons, he started Premium Disposal Inc in 2000. Today, Premium Disposal Inc is one of the most reputable waste disposal companies because of Paul's hard work, determination and expertise. CCG deals in providing Industrial Coating and Specialty Coating Systems. Our experts provide industrial coating consultation across Chicago. We offer corrosion protection and Pipeline Coating services with a safe and secure method. If you’re planning a home renovation or major home clean out, hiring a residential Saint John junk removal service is a no-brainer. From the initial dumpster rental to electronics recycling to trash removal, using a junk removal company in Saint John, IN will ensure that removing the remains of your remodel or cleaning up your clean out efforts is as stress-free as possible! There are full-service junk removal companies in Saint John, IN that help with everything from clutter and hoarding cleanups to appliance recycling to donating unwanted items. Keep in mind that you may need professional help removing certain items from your home, particularly if they’re toxic or unstable. Here are some related professionals and vendors to complement the work of junk removal: Tree Services, Environmental Services & Restoration, General Contractors, Home Builders, Landscape Contractors. Find rubbish removal professionals on Houzz. Narrow your search by city or zip code for a list of Saint John, IN rubbish removal services. Get contact information so you can ask about rates, and read customer reviews to find the best rubbish and trash removal service for your home improvement project.